Alison is a qualified teacher and has worked as a trainer in the NHS for 14 years. She studied Level 3 Award in Body Massage, with City & Guilds in 2013, at North Hertfordshire College. During this time she worked as a massage therapist at a sports club in Zante, Greece. She then went on to study at Bedfordshire University with Sport Therapy UK and qualified in Sports massage with anatomy and physiology level 3, VTCT. She has worked with Hertford Rugby Club assisting the club’s sports therapist with the 1st and 2nd teams. 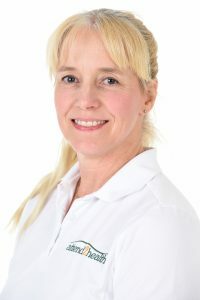 Alison has also provided sports massage at sporting events such as the London Marathon, Tennis Europe Junior series and half marathons in Hertfordshire & Essex.